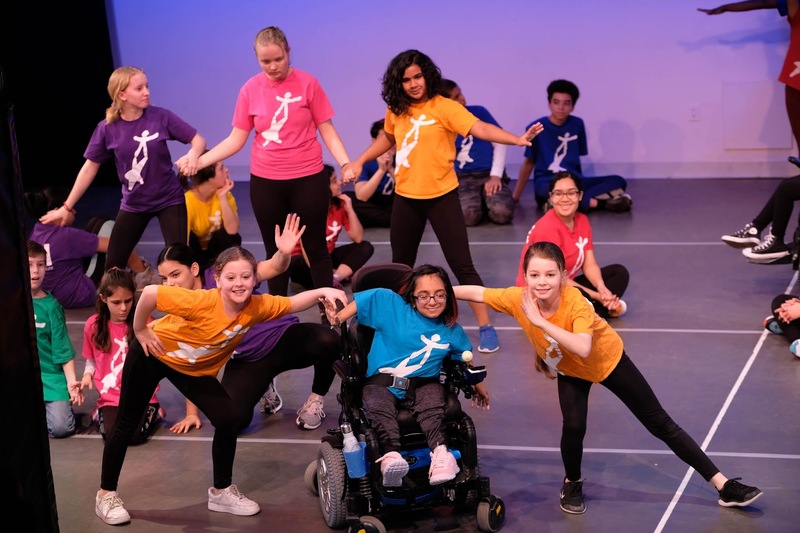 Rashmi Becker, Founder of UK-based Step Change Studios and producer of Fusion,has been spending time in New York looking at international approaches to integrated and community dance. She was recently welcomed to the National Dance Institute to learn about its free dance program DREAM, which serves dancers ages 8 to 14 with disabilities. Here she was introduced to Josie, a talented dancer and aspiring writer. Josie’s aptitude for writing, and love of dance speak for itself in her account of participating in DREAM. 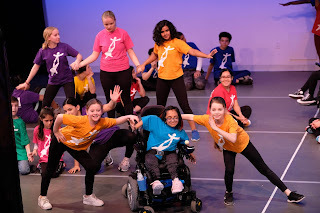 Within the four walls at National Dance Institute (NDI) in Harlem New York, I see kids who are differently abled getting to know each other, making friendships that will last forever. From an outside glance, NDI is just another dance studio but from the moment you step inside those four walls, you are welcomed into a family. 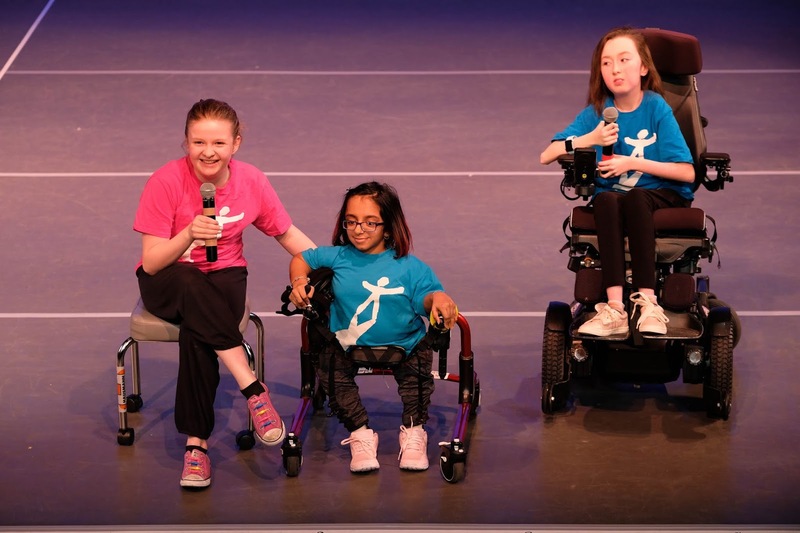 Every February and August, the NDI hosts an all-inclusive free dance workshop known as the DREAM Project. The acronym DREAM stands for "Dancers Realize Excellence through Arts and Movement". My name is Jocelene, I am 13 years old and I live in Queens, New York. When I came to DREAM, like anyone who is experiencing something new for the first time, I had my doubts. But as this program progressed, I started feeling more and more comfortable with the people and the new dance moves that I was learning. I started to feel that this was so much more than just a dance studio; it felt like family. My life has always been about protection of my bones and my body. I have to be careful at all times. I was born with a disability called Osteogenesis Imperfecta (OI). This disability makes my bones weaker than the average 13-year-old girl. So you can understand why I had to be extra cautious about going to a whole new place with strangers that I didn't know. I felt loved and welcomed from the moment that I stepped into the building. I heard about DREAM from one of my closest friends from school, Alexa. I came to watch her perform at the February, 2018 show and immediately knew that I had to be a part of the program. During my first day at NDI, I was nervous but at the same time my body bubbled with excitement! Before I heard about this wonderful program, I was always on guard about dancing and ultimately I never felt like it was right for my body. It’s like I was a caterpillar just waiting to come out of my cocoon and just dance. The process of coming out of my cocoon was an interesting time in my life. It meant meeting new people and most of all dancing with them. I remember on the first day, we played this game called the "name game", which is basically an icebreaker to get everyone familiar with each other and learning their names in dance moves. As they went around the circle saying each other's names in the form of movement, I felt butterflies swirl up in the surface of my body. When they got to me, I realized that it doesn’t matter how you do it and just to have fun while you do it and with that, my nerves floated away. I also have an amazing friend in Avery; she is the best friend in the whole entire world! She has been a wonderful friend to me since we met at a summer camp which was before NDI started. Avery started telling me more about DREAM so that when it started, I would be prepared. It was nice to know I have a friend that goes to NDI even before I started the program. This August will be Avery’s 5th DREAM. She loves it for many reasons, including the staff, friends, movements, and music. If you ask her, she will definitely recommend NDI. This DREAM, I got the opportunity to bring my walker which I have been using at school. The walker has given me the much-needed freedom to truly soar! When I found out that I was able to bring the walker, it made me so happy. Along with Avery and one of my other lifelong friends Ruby who I met at DREAM, we spoke about how the program has truly impacted our lives for good. Ruby is such a wonderful friend, I am grateful that she is in my life because she truly brings out the best in me. As I run across the grey Marley dance floor, during modern translation, I feel my body rush with adrenaline as I kick my legs in unison with my two partners. This is the moment that I knew that dancing was my passion. This space soon became my home. Before I started the DREAM project I felt like this was not right for me and my body. When I started, I felt like a spotlight was put on me and it has truly changed my life. I want to thank Corinne, my first ever partner, who has been an amazing dance partner to me; thank you for always making me laugh so hard that my belly hurts. I thank all other people who have helped me make my dream of movement, in the form of dance, come true.